18.5 in. red velvet stocking with 7 � in. wide green cuff, trimmed in metallic gold. 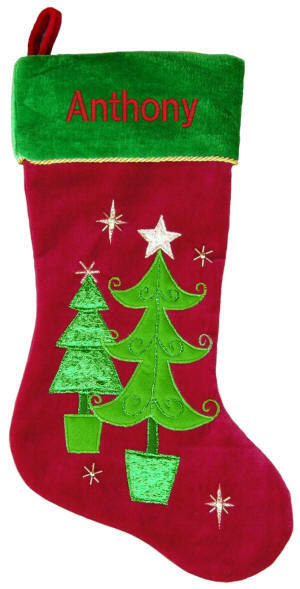 Stocking is appliqued with whimsical Christmas tree designs, in felt and metallic green fabrics.Embroidered and beaded metallic gold stars complete this festive stocking.